Our new studio is called "Danz 4 U" and it is situated in Centrex House, Simpson Parkway, Kirkton Campus, Livingston, EH54 7BH. 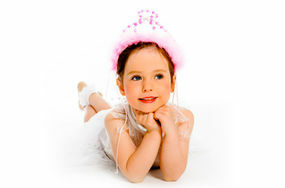 We will be holding all our childrens dance classes in all genres and also adult dance and exercise classes too. Miss McKinlay was taught by the same teachers as Miss Saunders. Miss Mary Lyons from Hamilton and then Miss Lilian McNeil from Glasgow. Miss McKinlay was one of the most exceptional all round dancers I have ever seen. Her teaching is the same. She taught at Lillian McNeil’s dance college for many years before joining Danceworld. Her dance knowledge is second to none and she is fully qualified in both RAD, ISTD and Higher Dance. Her results and work speak for themselves. 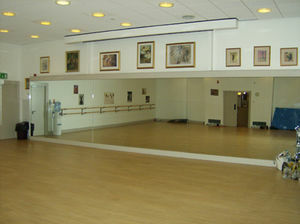 Reiss was a former Danceworld pupil and then won a 4 year scholarship at the Dance School of Scotland where he trained in contemporary, ballet and jazz. He is a self taught hip hop dancer who has travelled the globe learning his craft in Belgium, America, Germany, London etc. He has trained alongside Diversity at the famous URBAN DANCE CAMP and has represented Scotland twice in the Florida World Championships. He is the coach and a dancer in the Pulsationz team who have won the Scottish Championships twice and the World Championships at Intermediate level in 2014. He now has 4 competition teams and various street dance classes for Danceworld. He is also a Personal Trainer and owns his own gym in Livingston. Miss Skene was trained and taught in Aberdeen. She has excellent qualifications in both RAD, ISTD and Higher Dance. She has also studied contemporary both as a dancer and teacher. She is highly qualified and has lots of experience in choreography and teaching. Miss Julie trained in Edinburgh for 3 years. She has excellent qualifications in ISTD and contemporary and choreography. She opened her own studio and also teaches freelance. Miss Jill trained at Dance For All. She has excellent qualifications in ISTD. She specialises in Commercial Jazz and tap but it an all round ballet, tap, jazz and street dance teacher. Miss Seonaid was a former Danceworld pupil. She trained at Dance For All for 3 years and has gained ISTD qualifications. Morven Murray was taught by her mother at East Kilbride ballet club and then at Intermediate Foundation level with Miss Saunders at Danceworld. She then trained at Lillian McNeil's full time dance college for 3 years and danced abroad for one season. She has taught at Danceworld for the past 7 years up to Grade 4 level and was also a member and assistant coach of the original PulsationZ streetdance team. Miss Murray is currently on maternity leave and is enjoying special time with her gorgeous son.